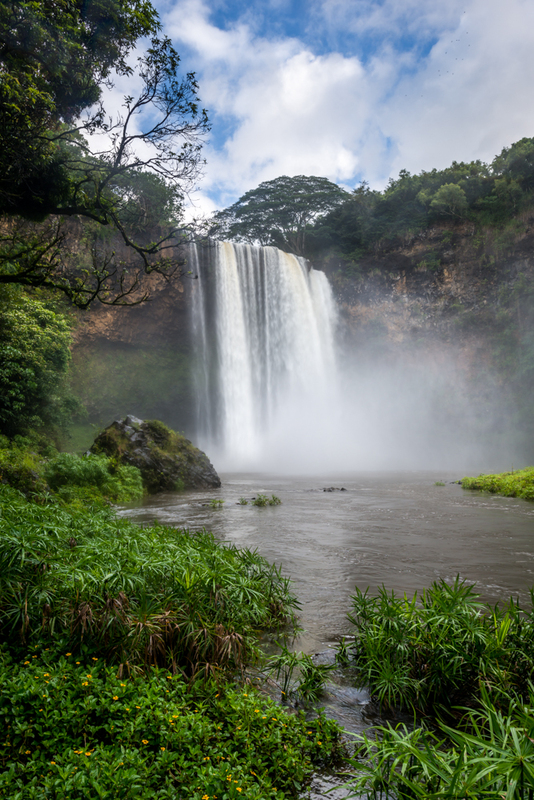 Since this is one of Kauai’s more powerful falls, I definitely wanted to make sure to at least take a photo while we were there. The waterfall is beautiful from the top, but I was looking for a more unique view and something different. 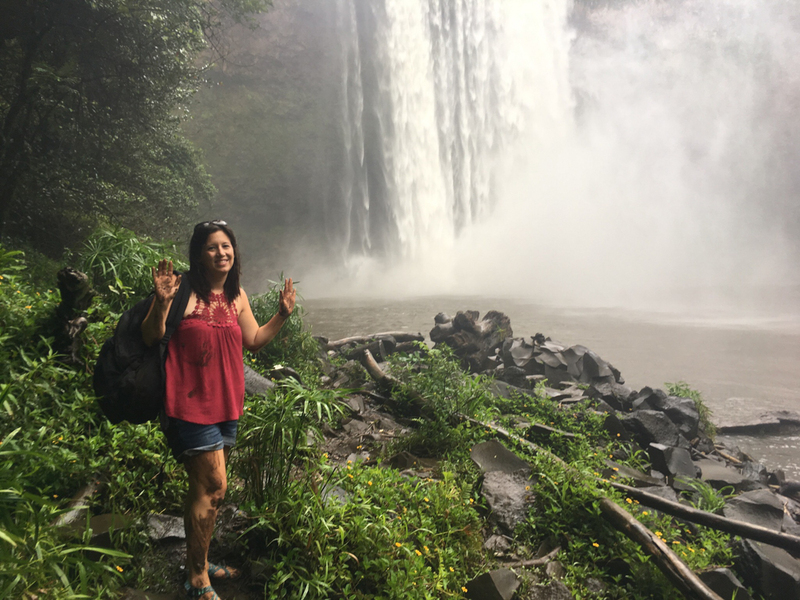 Before coming to Kauai, I watched a handful of YouTube videos of people hiking down to the base of the falls and knew we would have to do that too. 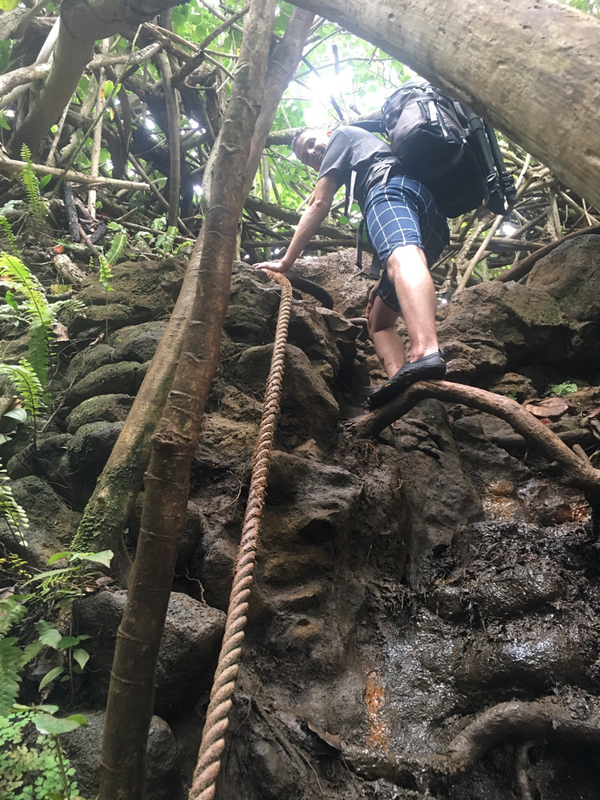 Perhaps it was the passing tropical storm or just an unusual amount of rain, but the nearly vertical hike down through roots, vines and mud was slippery to say the least. We made it most of the way down before my wife lost her footing and slid down about 15′ through the mud towards me. Let’s just say she was a little sore for the rest of the trip. Once we made it down to the bottom, we quickly realized that the higher than normal flow was creating a ton of mist. It basically felt like we were in a shower the whole time down there. The extra mist made it very difficult to take a photo, so I had to keep the camera covered and then quickly uncover it for a photo. It is not quite as long of an exposure as I would have liked, but was all I could get during a break in the mist.